The importance of defining the crossing geology should never be underestimated. This will allow for the downhole tooling, drilling fluids and schedule to be accurately developed and costed. I would suggest that initially a site visit and geological review would be undertaken to provide a geological overview of the area, which should then be used to determine the site specific investigations. The objective of the site investigation for a trenchless crossing is to obtain sufficient reliable information to permit the safe and economic design of installation and permanent works. The investigation should be designed to verify and expand upon any information previously collected. Site investigations for all drills should include site inspection/surface investigation, topographic survey, identification of existing services and a geotechnical assessment. Where the client prepares the investigations, the HDD contractor should assess the completeness of the information provided and ensure it provides sufficient information for planning and execution of the bore. Where further information is required, the HDD contractor should provide a proposal to the client outlining the objectives, requirements, and budget costs for any additional works required. Boreholes should be located to track stratigraphy and to detect the geological sequence, structure, and areas of significant change. When results indicate other anomalies or highly varying strata, then additional boreholes may be required. 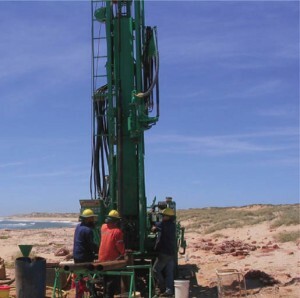 The boreholes should penetrate through an elevation at least 3-5m below the depth of the proposed bore profile to provide information for HDD design modifications and pilot hole deviations. Boreholes should be offset perpendicularly from the HDD centreline where practical by 10m. penetrometer testing (SPT) sampling should be undertaken at selected depth intervals within the borehole. Where frac-out modelling is required, the geotechnical parameters required for undertaking the modelling (e.g. unit weight, shear strength, friction angle, cohesion and Youngs Modulus) should be determined during the geotechnical investigation. The likelihood of soil/groundwater contamination should be determined prior to undertaking any investigations. If contamination is suspected (i.e. near electrical transformers, fuel storage, petrol stations, industrial land), samples should be tested for likely contaminants in accordance with the relevant guidelines for contaminated sites. Boreholes should be backfilled to minimise the possibility of drilling fluid migration along the borehole during subsequent HDD operations. The upper 1.5m of land-based boreholes should be backfilled with the surrounding soil. Below 1.5m, a backfill mixture containing cement grout and a bentonite product to promote expansion is recommended. Cuttings from the drilling operation may be incorporated into the backfill mixture if considered beneficial. 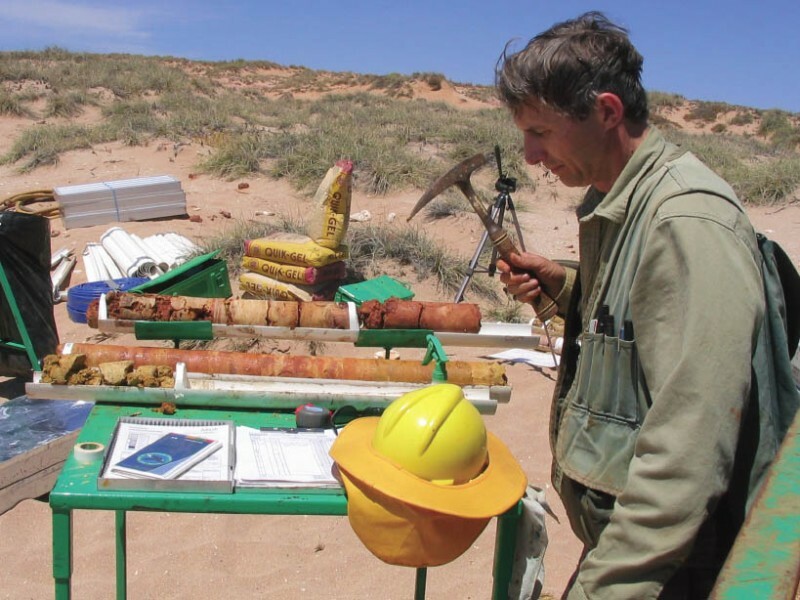 A geotechnical report addressing the sampling program, laboratory analysis (including strength testing and particle size distribution), interpretation of geotechnical engineering properties, bore logs and a profile of the subsurface conditions shall be produced. Reduced levels of borehole data shall be included on the HDD profile drawings.